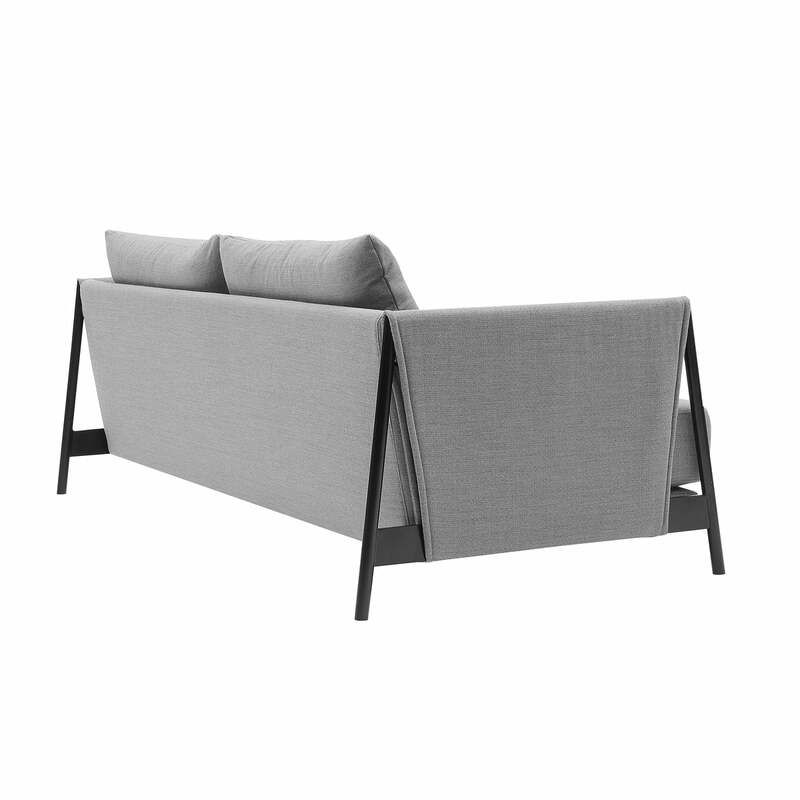 Madison by Softline is a modern and uncomplicated sofa bed. The Müller & Wulff sofa radiates casual elegance with its pure fabric-covered steel armrests and lush back cushions with pointed seams. As a sofa it invites you to relax and linger. At night, the upper seat upholstery can be folded forward and you have a bed for guests with a lying surface of 143 x 200 cm. 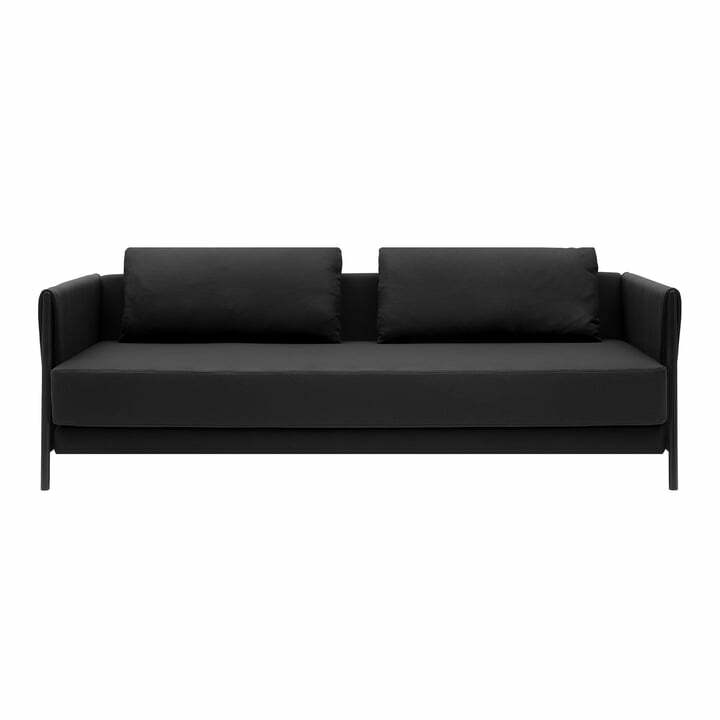 The frame of the sofa bed is made of steel in black. Covers in different fabrics and colours make the sofa flexible to use. Individually designed, it adapts perfectly to every taste and every room. The delivered product may differ in colour and brightness from the picture! We will be happy to send you fabric samples to view the upholstery fabric! Please note: The colour and brightness of the delivered product might differ from the image shown in the online shop! If you'd like to see the fabrics before you buy the product, we'll gladly send you a sample! As a sofa it invites you to relax and linger. 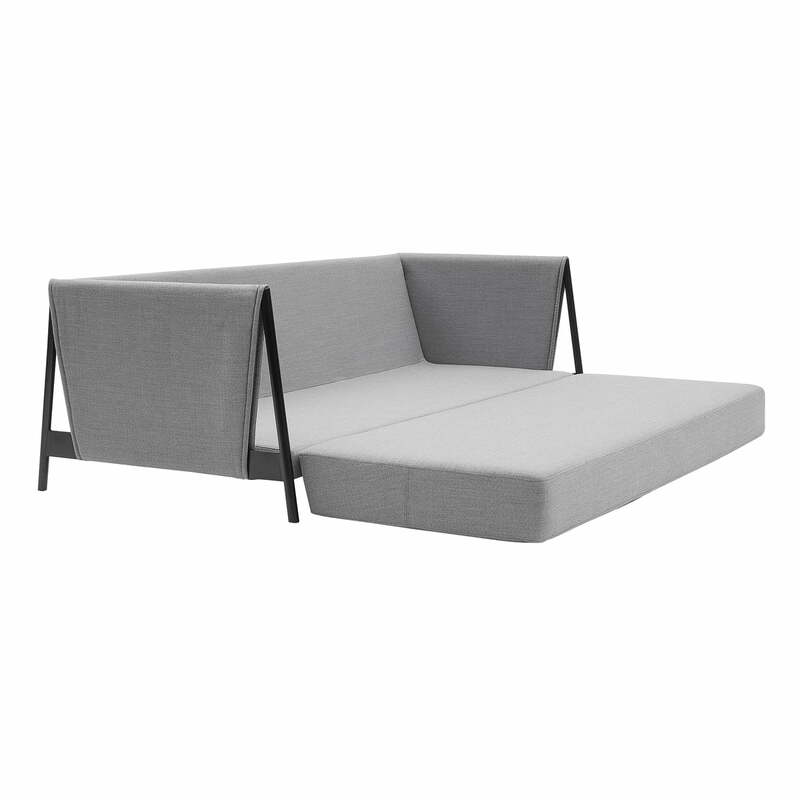 At night, the upper seat upholstery can be folded forward and you have a bed with a lying surface of 143 x 200 cm.